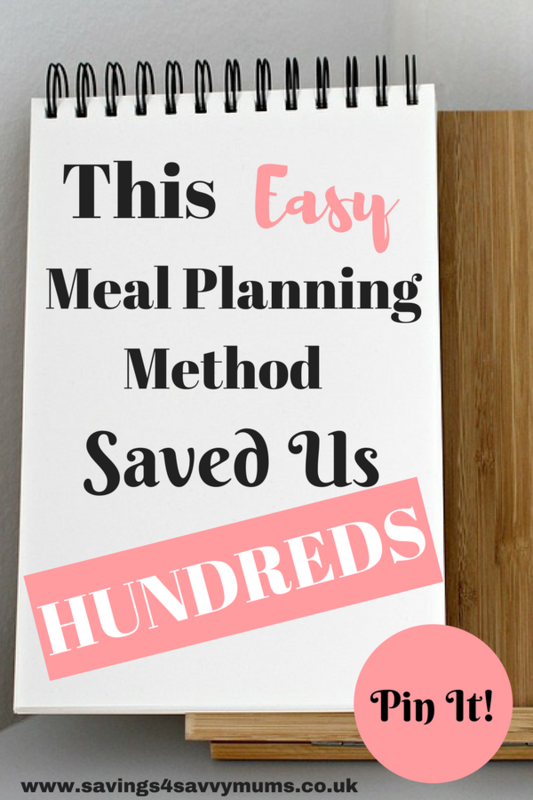 Including a meal planner and shopping list template and family meal ideas on a budget. 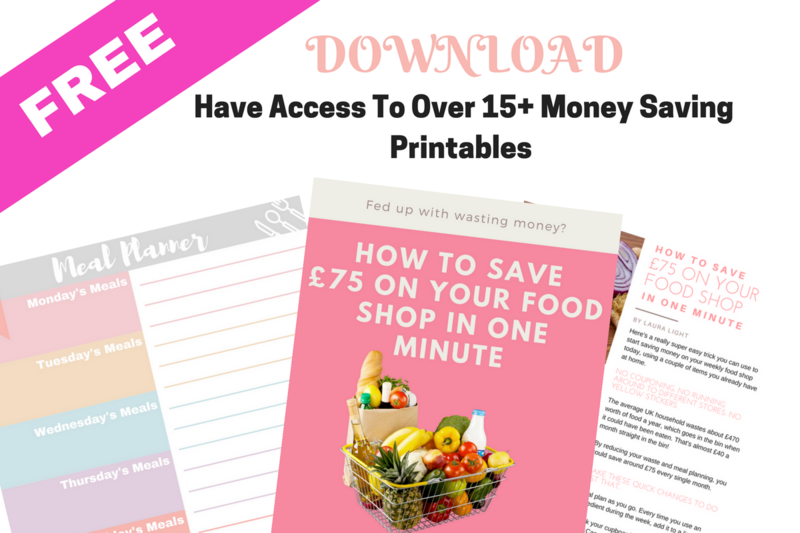 There’s no way around it, budget meal planning can save you and your family money every week, but if your family is anything like mine, then come dinner time, the family have turned into a crazed pack of wolves and just want to eat straight away. Implementing a family meal planner can stop you going for the takeaway menu when the family go nuclear and means you don’t have to face a cupboard full of food with no clue or inspiration on what to cook. If creating your own budget meal plan is giving you a headache, then Budget My Meals is for you. I can create your budget weekly menus, shopping lists and send you the recipes every week so you don’t even have to think about it. No coupons. No yellow stickers, just easy family friendly recipes. If you’d prefer to meal plan yourself and feel short of time, then try breaking it down. By just spending a few minutes a day writing down what you’ve used, and maybe would like to eat next week, can help cut your food bill. To help, I’ve broken my own process down into 9 easy to follow steps. 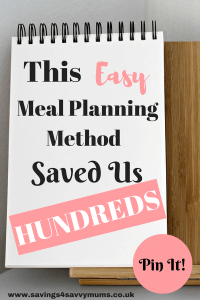 I really do believe that budget meal planning can save you money, and I challenge you to try meal planning for 4 weeks to see how much it saves you. Depending on how comfortable you are, either find a spare pad or print out 8-10 copies of a weekly meal plan sheet. You can make your own weekly meal plan or sign up and download my meal plans and shopping lists for free. Having several copies on hand will help inspire you to get started and keep up the meal plans for several weeks. Before you even think about food, check your schedule. There’s no point writing a meal plan for a week that you’re away or if you aren’t going to be back for dinnertime. Use a bright color of ink to list calendar items on your meal plan so you can decide what the family are eating on these days. It could be leftovers or cheese on toast, doesn’t matter, as long as everyone knows. Before you start planning, check what you have already. Do you have any kitchen staples that you could use to bulk out any meals or use on days you’re late home? Is there anything in your freezer you could eat to bring this weeks shopping list down? Same goes for vegetables and side dishes. Spending a few minutes checking the freezer, fridge and cupboards can save you money later on. Have a quick look through your local supermarket’s brochure or website. Most of them shout about their deals all over social media too. Is there anything that the family would eat featured? There’s no point buying something if no one eats it, just to feed the bin though. After a few days of writing down what you’ve been eating, you’ve probably got a bit on your list already. 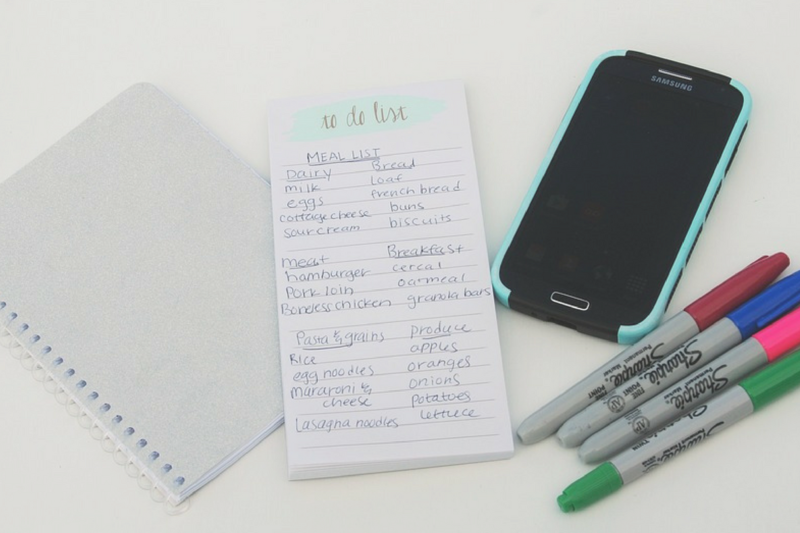 Now it’s time to fill in your meal plan and make your shopping list from that. What are some of your family’s favorite meals? Do you need anything for the kid’s lunchboxes? What about breakfast or weekend snacks? Don’t forget to plan a few simple or quick meals for the days you’re going to be in late or when the kids have a club. Keeping it simple will help you stick to your plan. As you fill in your dinners for the week, start writing your shopping list. Using a weekly meal plan sheet helps to break down your list into easy to read chunks. You can even break it down further into sections like produce, meats, refrigerated, frozen, etc. Once your meals are planned, take a few minutes to think of other items you will need for the week. Check your cleaning cupboard, bathroom and under the kitchen sink. Do you need any washing detergent, dish soap or multi-purpose cleaners? If you have pets, do they need food or treats? What about paper towels or toilet paper? Toothpaste or shampoo? You won’t have to buy these every week, and spreading them across the month will stop it hitting you hard at the checkout. Here’s where you start feeling super prepared! 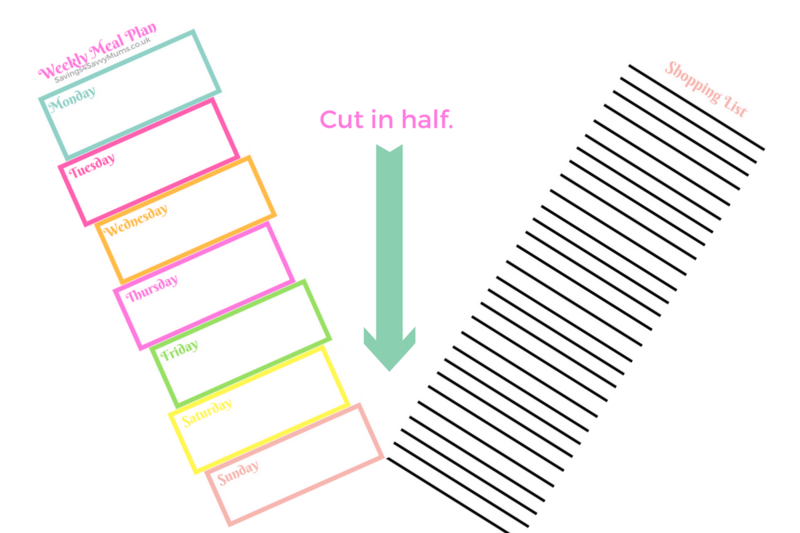 Cut your meal plan and shopping list in half. Place your meal plan somewhere everyone can see, like the fridge or a cork board. When it’s time to cook dinner, you simply check your meal plan and start cooking! No more having to think about dinner time under pressure! Face to face is easy, especially if you visit a local market or small store. Online is even easier though. Get as far as the checkout screen and log out. Check your emails and reply to the supermarket, explaining why you didn’t buy. It could be anything, like the items are to expensive or the delivery slot isn’t convenient. Then haggle. Nine times out of ten they will offer you a discount to make you complete your order. At the end of the week, instead of throwing away your old meal plans, keep them. On weeks you are struggling for inspiration, you can drag them back out and choose your favorites. I try and add some new meals each week, but stick to a couple of classics that I know everyone will eat without question. Before you know it you’ll have a load of meals to choose from, that are easy to prepare and cost you less at the supermarket. Download my free weekly meal plan sheets, and get started right away! 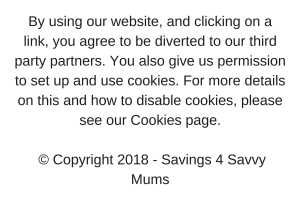 By signing up, you have access to The Resource Vault with a free family weekly planner, budget meal plans, shopping lists and access to my Money Saving Mums Facebook group. So, are you up for the challenge? Try these 9 easy steps for 4 weeks and let me know how much you have saved.